This funny wedding photo was shot up at the quaint Blair Hill Inn in Greenwville, Maine, right on the shore of Moosehead Lake. 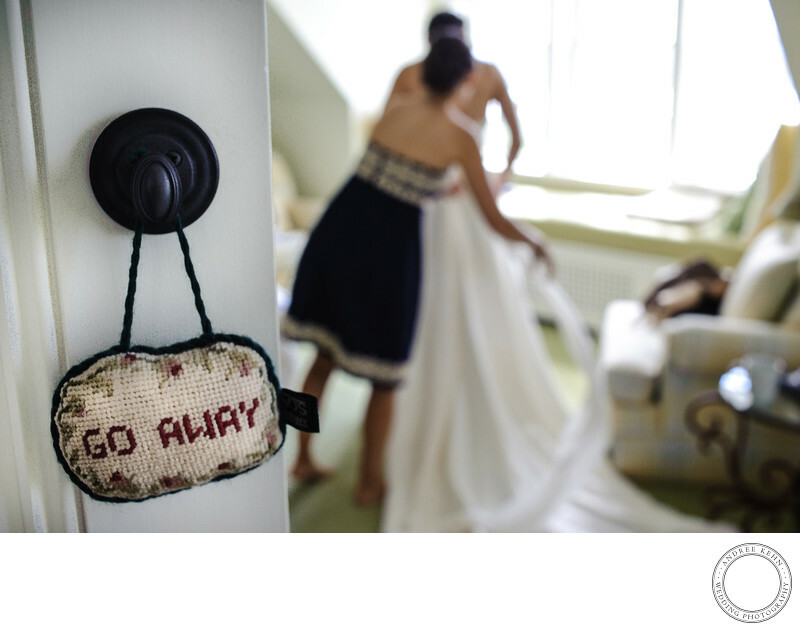 The needlepoint pillow sign was the inn's standard message for housekeeping, but I thought it was very appropriate to use as a foreground element in this bride getting ready image. I was laughing so hard when I composed the image and when the bride got her photos back, she adored it. It's humorous and quirky and that is what my couples are all about! 1/125; f/5.6; ISO 1000; 35.0 mm.